Resisting the Trump presidency has lead many on the broad Left to focus on electing Democrats. However, is Trump the central problem confronting us, or is he just a crude manifestation of the fundamental problem, a global capitalist system that is spiralling downward and veering out of control? Implicit in the efforts to defeat Trump is the conviction that the election of a Democrat to the White House, along with the election of a Democratic majority in both houses of Congress, will reverse the impetus of the Trump presidency, while providing the basis for a substantial step forward toward a just and humane society. Liberal Democrats believe that capitalism can be reformed by a benign intervention of the state acting to bring about an acceptable version of the capitalist system. 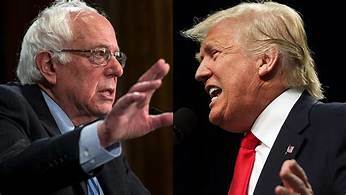 Trump’s election and the furore this has triggered raise acutely two distinct but linked issues: The nature of the Democratic Party and the limits of reform in a globally integrated economy. How one views the Democratic Party has always been a critical dividing line within the U.S. Left. For decades, progressives, even some who claim to be socialists, have joined the Democratic Party in the futile hope that it could be changed into a genuine working class party. Instead, they have been the ones who have been transformed, absorbed into the mainstream, jettisoning even the remnants of a radical politics. The Democratic Party has always been a capitalist party, committed to defending an economic system in which a few of the rich and powerful maintain ownership and control over the means of production. Yet in the past the Republican Party has been the preferred of the two mainstream parties. Most wealthy donors contributed large sums to Republican coffers and Republican administrations featured corporate executives in key positions. All this has changed in recent years with the rise of the Tea Party and the ongoing economic crisis that began in 2008. Although a minority of capitalist interests applaud the call for a wholesale dismantling of social services, most corporate bosses are now aligned with the Democrat Party, which has welcomed them with open arms. Trump’s presidential campaign accelerated this process. The mass media savagely attacked Trump, while praising Hillary Clinton, despite her obvious inability to generate any popular enthusiasm. This pattern has continued with Trump in office. The New York Times, the Los Angeles Times and the Washington Post despise Trump and devote most of their energies to battering him. They speak for the bulk of the ruling class, which views Trump as a dangerous demagogue who can not be trusted. Of course, there is a small segment of the ruling class that is prepared to back Trump in his efforts to pursue a policy of economic nationalism. Yet it is indicative that most of those who own and control the growth industries, information technology and entertainment, are vociferous in their denunciations of Trump. The last thing these globally integrated corporations want is an economic policy that appeals to nationalism and that voices the fears of those being squeezed hardest by the integration of the world’s economy. A century ago, the Republican Party was tightly controlled by the business community. The Tea Party and talk radio has changed this. Even before Trump, the Republicans were no longer seen as the reliable framework to defend corporate interests. In the past, the Republican advantage in funding was counterbalanced by the Democrats ties to the mainstream unions. The global integration of the world economy has led to the demise of unions in the private sector. This loss for the Democratic Party has been offset by an influx of corporate funding. The Republicans now have to rely on money coming from a few corporate mavericks and the grass-roots efforts of a conservative minority based in the South and small town America. The Democratic Party has become the safe, centrist party, the party that starts with an enormous advantage in media support and money. The unlikely result of the 2016 election, when Trump was elected despite receiving significantly fewer votes than Hillary Clinton, is not likely to be repeated. Furthermore, it would be surprising if Putin were willing to use the resources of the Russian government to assist Trump’s re-election. Putin has made his point. A country that has fallen far behind in military and economic power can still mess up the government of the dominant superpower through clandestine operations and cyber warfare. Those who are lining up with the Democrats to defeat Trump and his right-wing supporters are bound to become a subordinate element in a political alliance controlled by the corporate ruling class. This can not be a successful path forward for the Left in the United States. This leads us to the question of Bernie Sanders and the liberal wing of the Democratic Party. Sanders began his political career as a socialist, committed to working outside of the Democratic Party. Even once in Congress, he remained an independent. In spite of working closely with the Democratic caucus in the Senate, Sanders still argued that the working class needed to form its own, independent party. The current version of Sanders as a Democratic Party hack is a recent one, the opportunistic outcome of his decision to seek the presidential nomination. It is too easy to say that the upsurge in support given to Sanders by young people during the presidential campaign was a positive development. Sanders has opted to funnel this energy into involvement in a series of local elections where his supporters campaign for a progressive seeking the Democratic nomination. This strategic decision steers those new to politics in exactly the wrong direction. Radicals need to remain committed to basic principles. The Democratic Party can not be reformed. Working within it is not only futile, it is counter-productive, providing the party o the corporate centrists with a veneer of credibility. Those who seek to justify support for Sanders and his ilk as a tactical maneuver are in reality jettisoning a fundamental cornerstone of radical politics. The result can only be a wholesale retreat into liberal reformism. Sanders has focused on the call for a single payer scheme of health insurance. Providing everyone with a minimum of health care would represent a significant step forward in a country where tens of millions are still without coverage and can not receive medical care except in emergencies. Yet this is an issue that fails to challenge the crucial inequalities in wealth and power that are the core of a capitalist society. Indeed, Sanders has justified his support for single payer health care by pointing out that most of the other industrialized capitalist countries have implemented universal health care. Furthermore, merely introducing single payer insurance would not ensure a system that provides everyone with adequate health care. Many European countries grossly underfund their health care systems, resulting in long waits to see doctors who are stressed out and unable to devote the time needed to properly care for their patients. Quality health care requires money and this returns us to the central issue, the gross inequality in income and wealth. Sanders is not willing to confront the corporate ruling class because he knows that this will place him outside of the Democratic Party consensus. He would also become the target of a full-scale media assault. Instead, Sanders plays it safe and limits his positions to those of a liberal reformer. All of this takes place in a historical context in which capitalism continues its downward spiral, as the world veers toward environmental disaster and nuclear war. One response is to cling to what currently exists, to play for time and hope that somehow a simple way forward will present itself. This is an easy solution to a complex problem, but it is one that is bound to fail. Building a genuinely radical movement will be difficult, but there is no other alternative to the catastrophic collapse of a disintegrating system. To start, we need to build a grass-roots movement that can advance a program of specific measures that challenge the capitalist power structure. As we do this, we need to be sure that the demands we put forward, and the organizational structures we build, are consistent with our vision of a future society. An essential starting point for a newly revived radical movement is the understanding that Sanders and the progressive wing of the Democratic Party are not our allies. Our disagreements with their political perspective are fundamental and irreconcilable. Although I agree that the big corporate money went to the Democratic Party before and during the election, it is now finding its way towards attempting to buy into the Trump project, especially hoping to get a slice of the contracts that Trump has promised. In many ways, it may buy into the social agenda of Hillary Clinton and the Democrats, but it will be the attraction of government contracts that will determine if Trump can get re-elected. I have always been opposed to the narrative that right-wing populists (cf Trump, Farage et al) have somehow brought something new onto the political debate. They are no more than a continuation of the so-called liberal politics of their predecessors. Obama’s trillion dollar increase in the mainly nuclear defence budget gets conveniently forgotten alongside why these liberals alienated so many in the first place with anti-working-class policies.